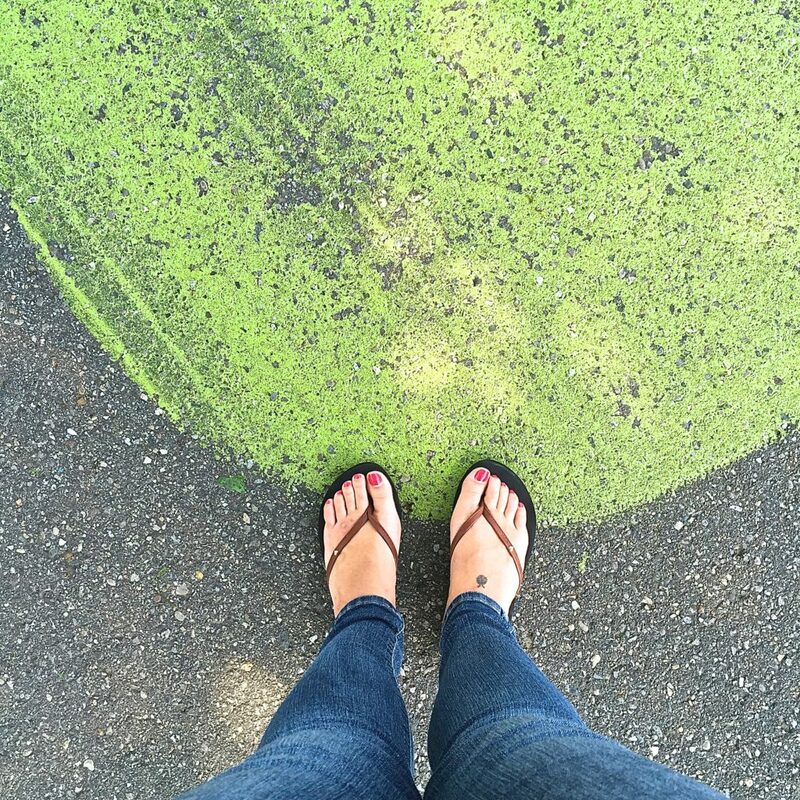 Summer – the season of cookouts, camping, lazy beach days, and road trips! 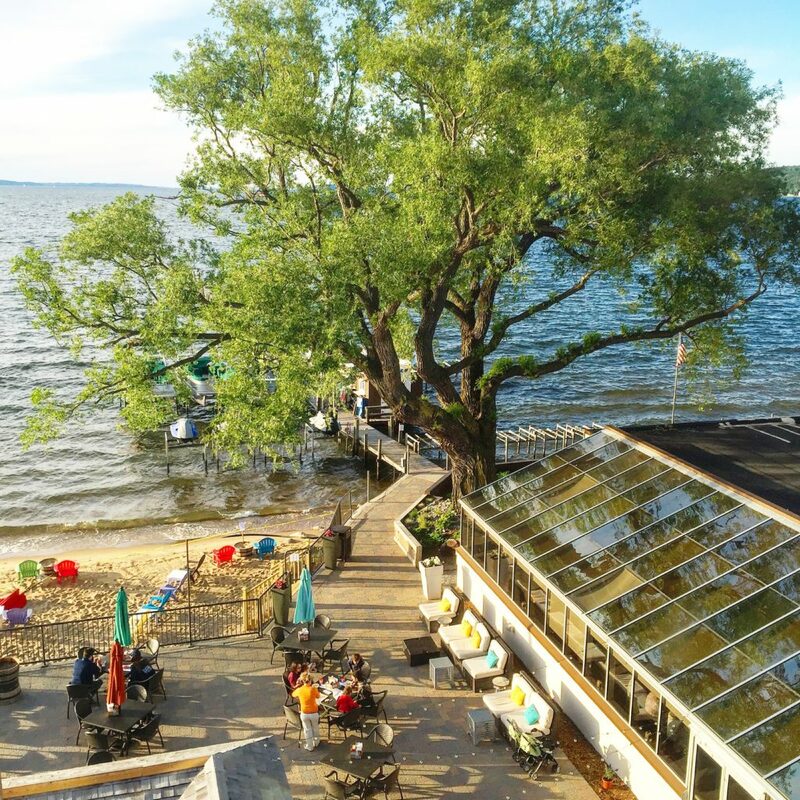 Kicking off the summer of 2016, I teamed up with Holiday Inn for a chance to explore Michigan with a road trip from Detroit to Traverse City! Over the years, I have worked in Michigan several times but have had little time to actually look around. The little I did see, I loved but the part that stood out most on each trip were the locals – so down to earth and friendly! 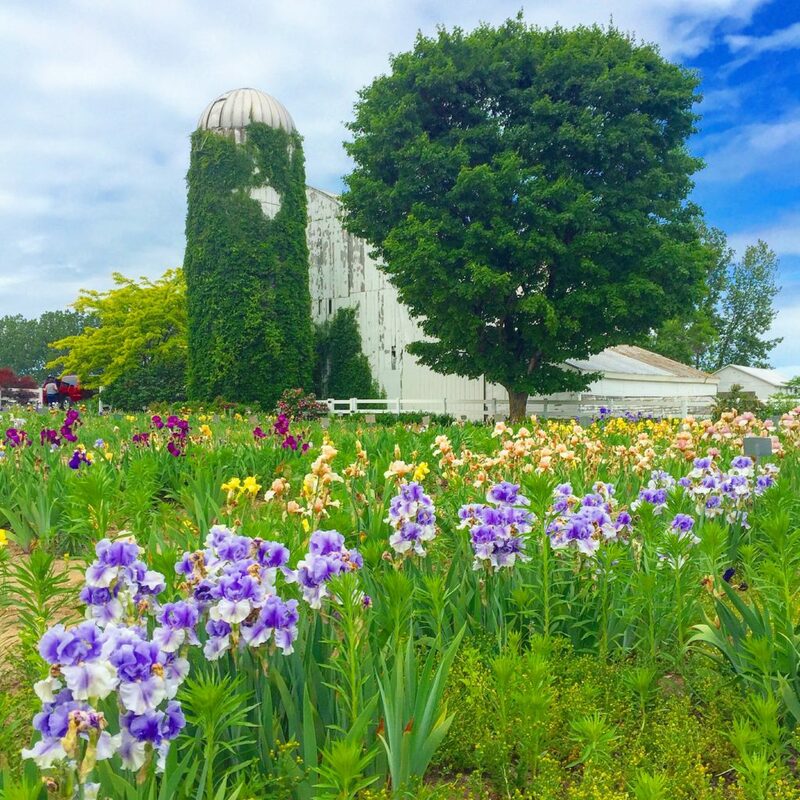 Between their welcoming nature and sincere display of local and state pride, I thought – why not road trip through Michigan to experience what the state has to offer, further connect with the locals and get a little time to reconnect with myself? 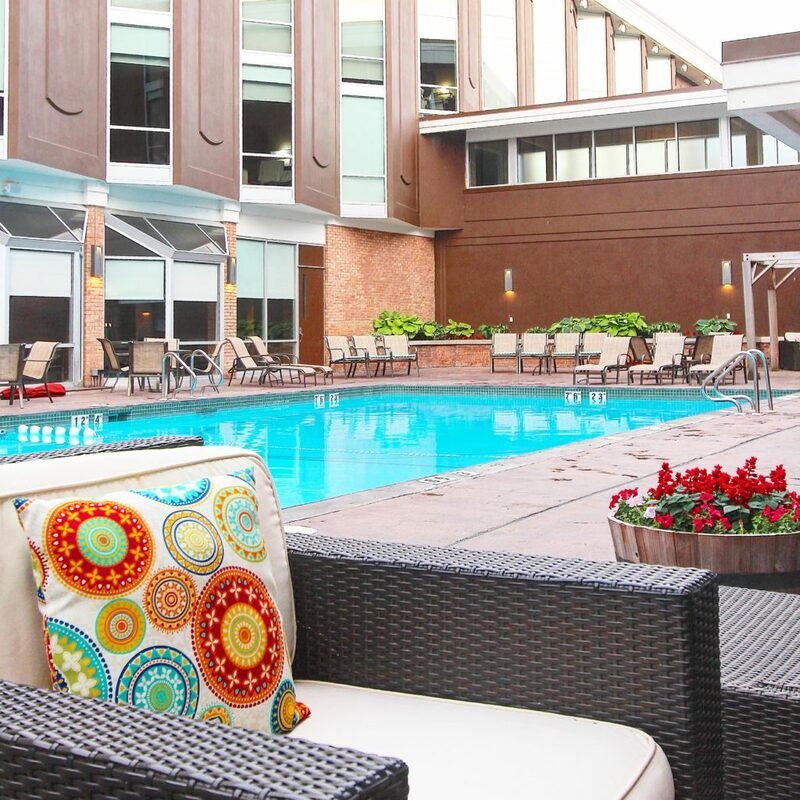 Although I only had a short time to spend in Detroit, I enjoyed my time viewing street art and relaxing in my room at Holiday Inn Detroit Metro. 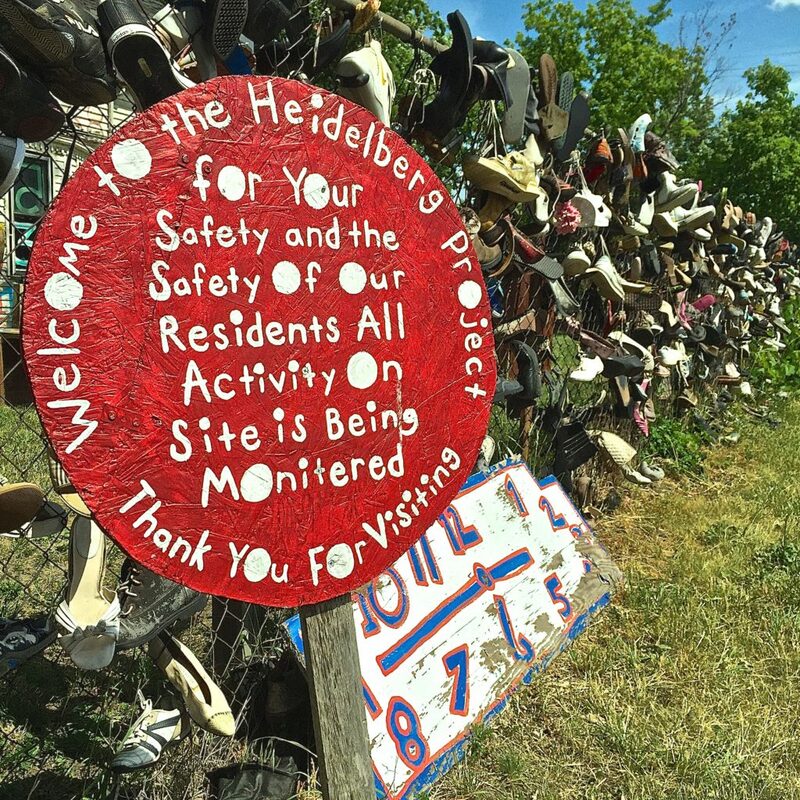 The Heidelberg Project, located on Heidelberg St. in Detroit’s east side, was a fantastically weird mix of cool urban art meets odd junk heap. 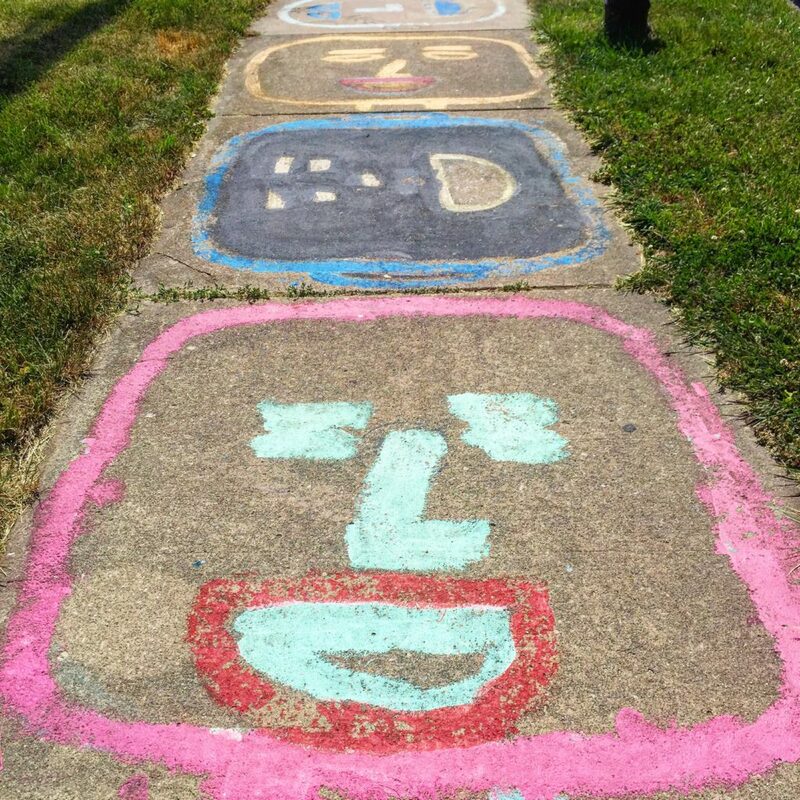 From polka dotted streets and houses to side walks that smiled back at you, it looked like kids were given a box of chalk and let loose on a two block stretch of street! 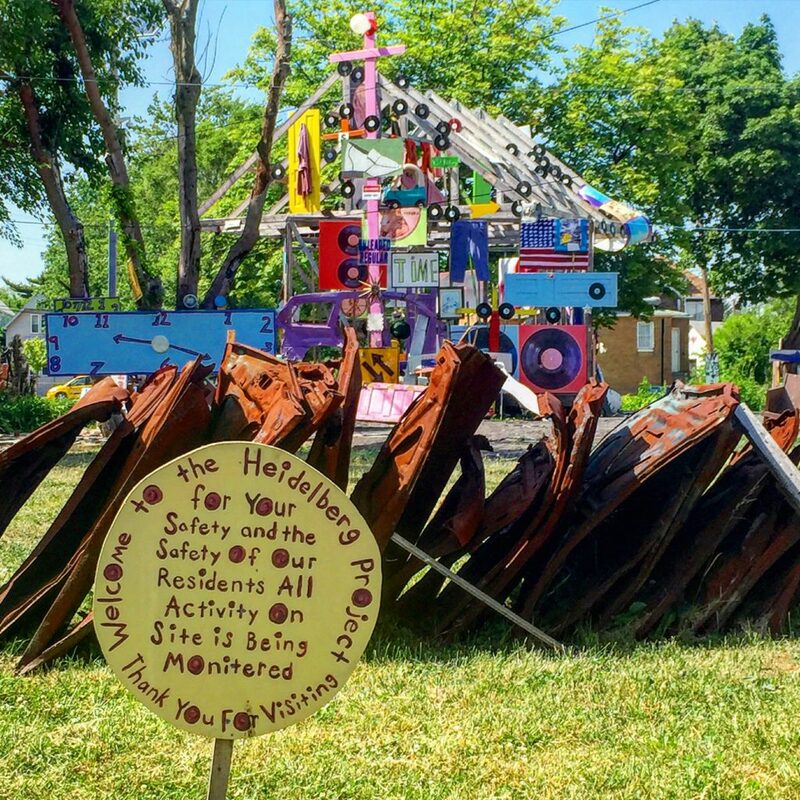 The art displays or structures were made from discarded objects found from in and around Detroit. Some of it looked well thought out, some made political statements, some were just funny and playful… others were just piles of junk. It was a mixed bag but I found myself smiling like an idiot. I enjoyed watching the reactions of other tourists and I loved interacting with the locals who were out in the street joking around with tourists. 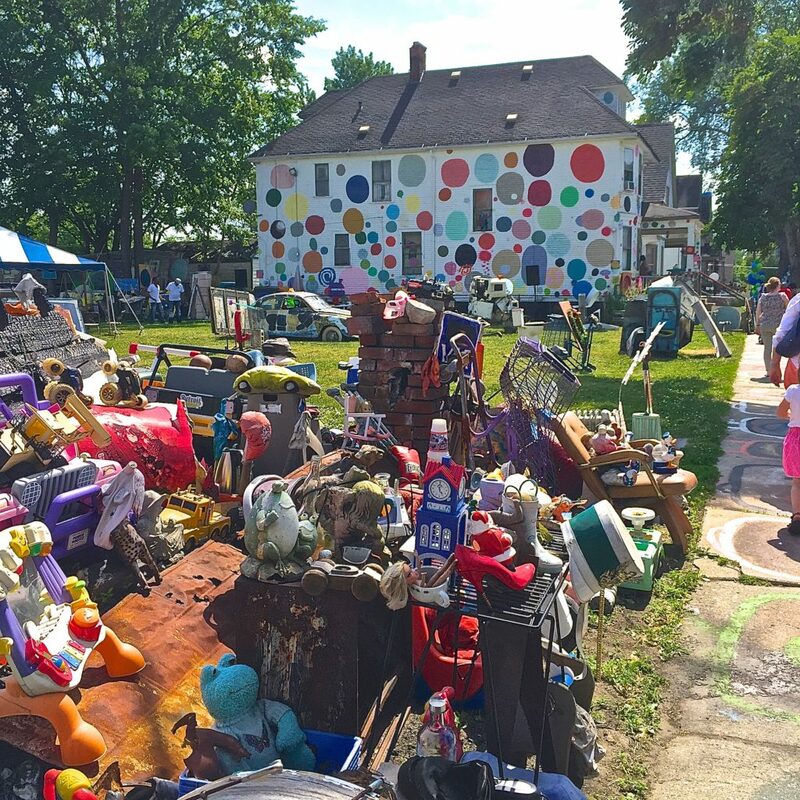 From the bright and colorful displays that overran yards and homes, to Motown blaring in the street and getting a chance to interact with the locals… it all felt like a bright spot in an otherwise rough neighborhood. 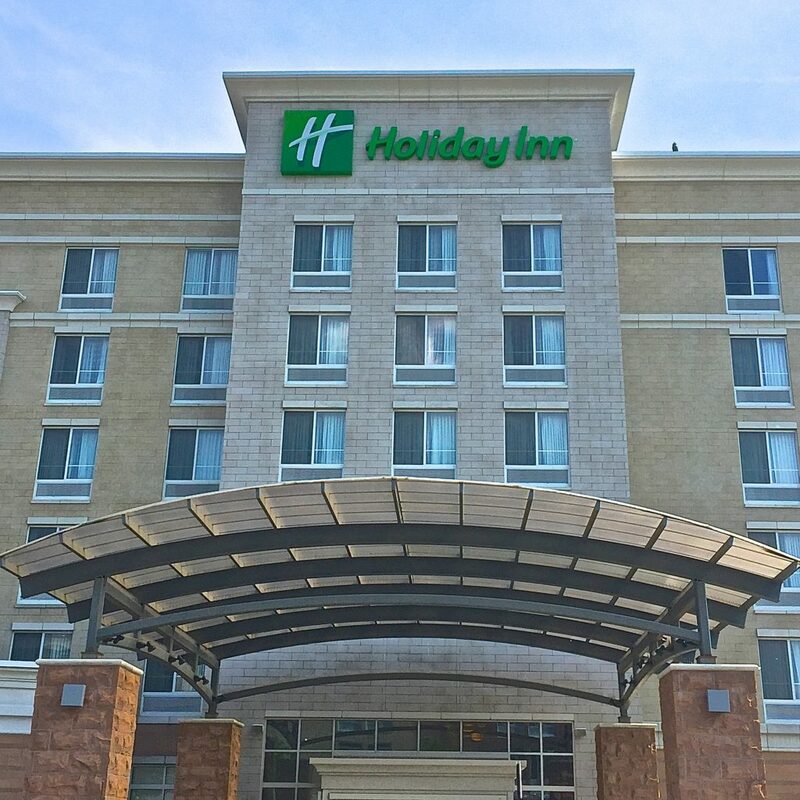 Following a long day of travel and exploring what felt like a scene out of Alice in Wonderland, I checked into Holiday Inn Detroit Metro Airport. As a solo traveler, I appreciated the huge, well-lit parking lot and (what appeared to be) safe neighborhood. Checking in, the lady at the front desk was extra helpful – going as far as making suggestions on places to visit as well as printing me out directions for the next day’s drive. 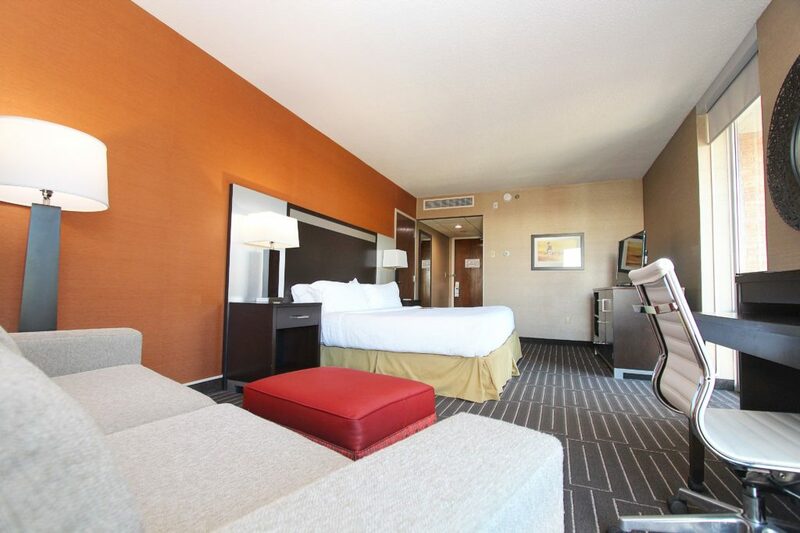 Although I was surprised to find that my room was enormous, it was everything else I expected – bright, clean and comfortable. When it comes to the unpredictability of a road trip, it’s nice to know something will be reliable and consistent! One of the many reasons I love Holiday Inn. After driving three hours west of Detroit, I was starving. 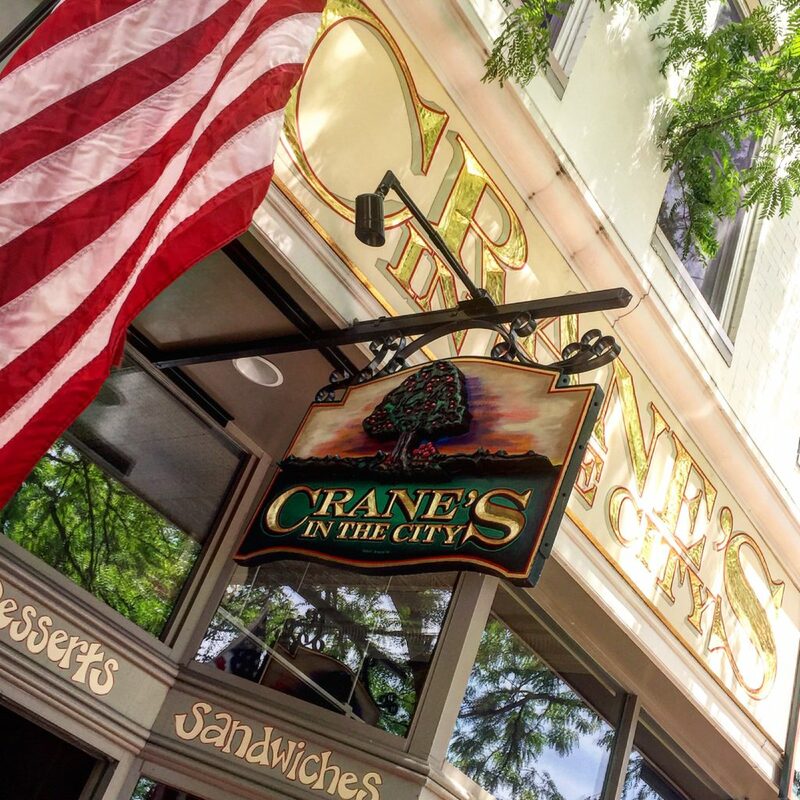 Talk about a lucky find with Crane’s in the City at 11 East 8th St. in Holland, Michigan! Best. Sandwich. On. The. Planet. 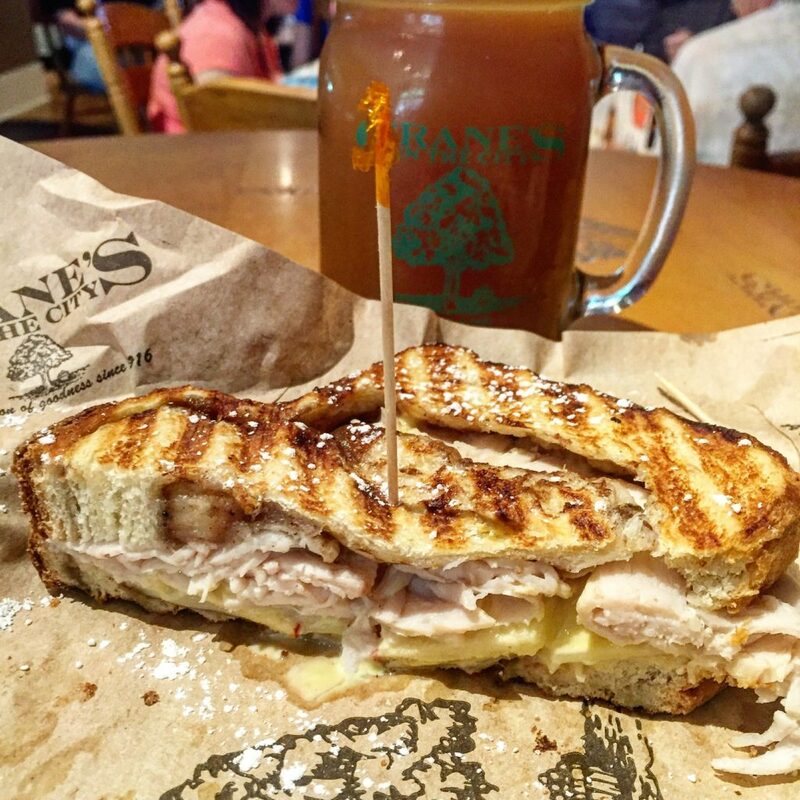 The City Cristo (marked as their most popular sandwich) was made with “turkey, provolone cheese, apple slices, honey mustard, grilled on apple-butter bread & sprinkled with powdered sugar”. When I first read the description I was like, “I don’t know about this…” but when I started throwing it into my head, I didn’t know if I was having lunch or dessert! The bread was warm and had gooey apples baked in – tasting like the center of an apple pie. Then I tasted the warm turkey and melted provolone… then the powdered sugar… I have never had anything like it but I cannot say enough just how much I loved it. Following my pig out at Crane’s, I headed over to Windmill Island Gardens. Also located in the town of Holland, it consisted of a replica Dutch village, an old working street organ (gifted to Holland from the city of Amsterdam), an antique Dutch carousel (with hand carved and painted horses), a replica Dutch drawbridge and acres of manicured gardens but the real show stopper was an authentic, working Dutch windmill named “De Zwaan”. 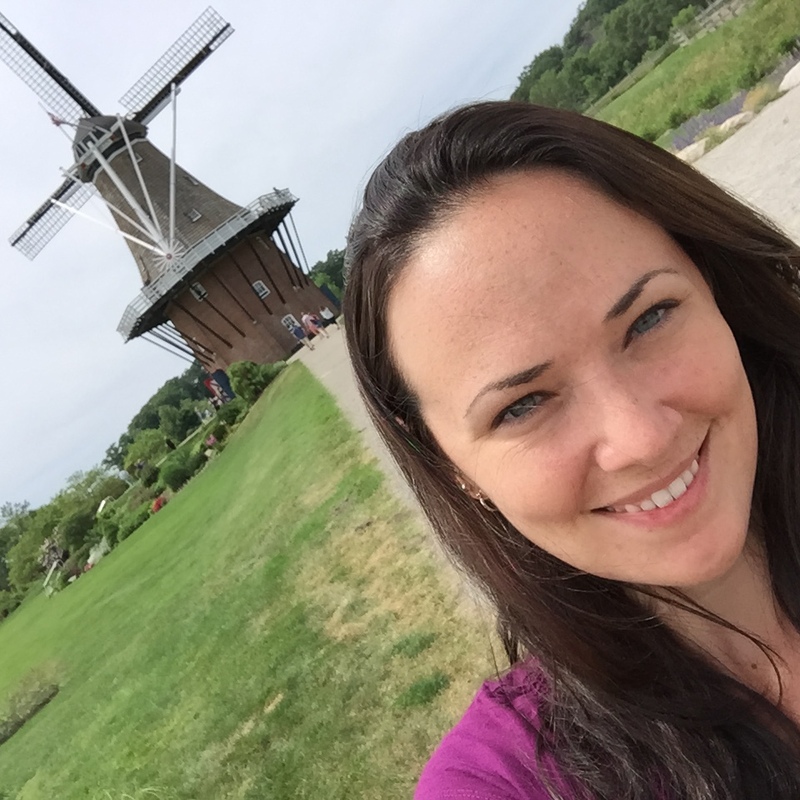 I really enjoyed wandering the grounds hearing the street organ playing the same songs it would have played in the 1940’s on the streets of Amsterdam and loved having the opportunity to tour the only working Dutch windmill in the USA. The background of the windmill was interesting, hearing stories about owners decorating the blades for holidays and how the structures were used as lookouts during WWII was fascinating. 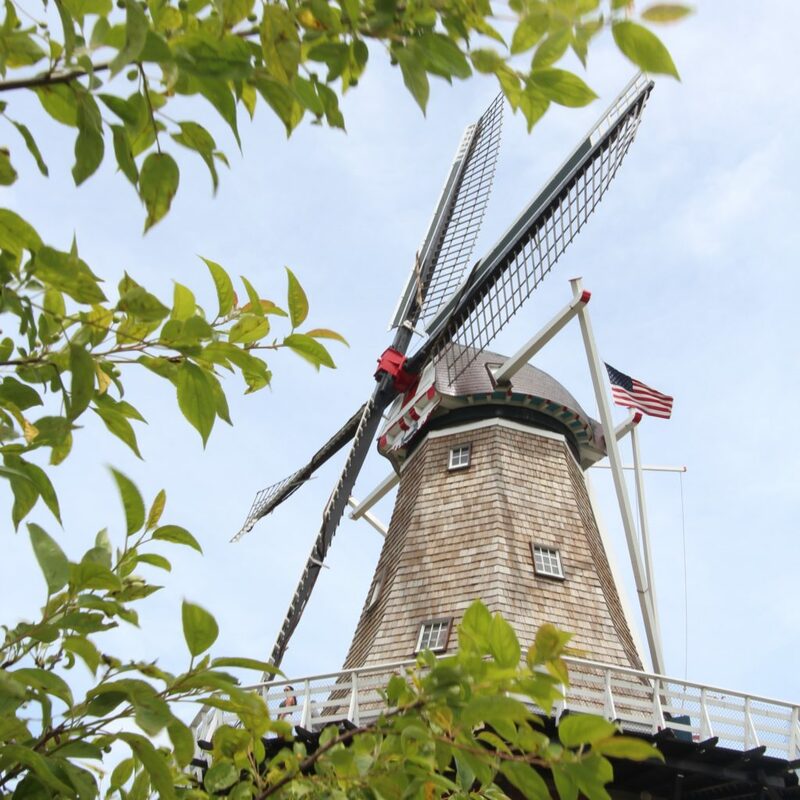 How and why did a Dutch windmill end up in Michigan? The answer to that question lead to a fun and unexpected lesson in ancestry! Turns out Holland was settled and founded by Dutch Americans in 1847. Since then, the town has continued to embrace its Dutch heritage. For that reason, a deal was struck with the Netherlands in order to have the windmill shipped to Michigan by boat. The town had to promise that they’d not only allow public entrance but they also had to keep the windmill working – to further teach those visiting about the structure and Dutch way of life. 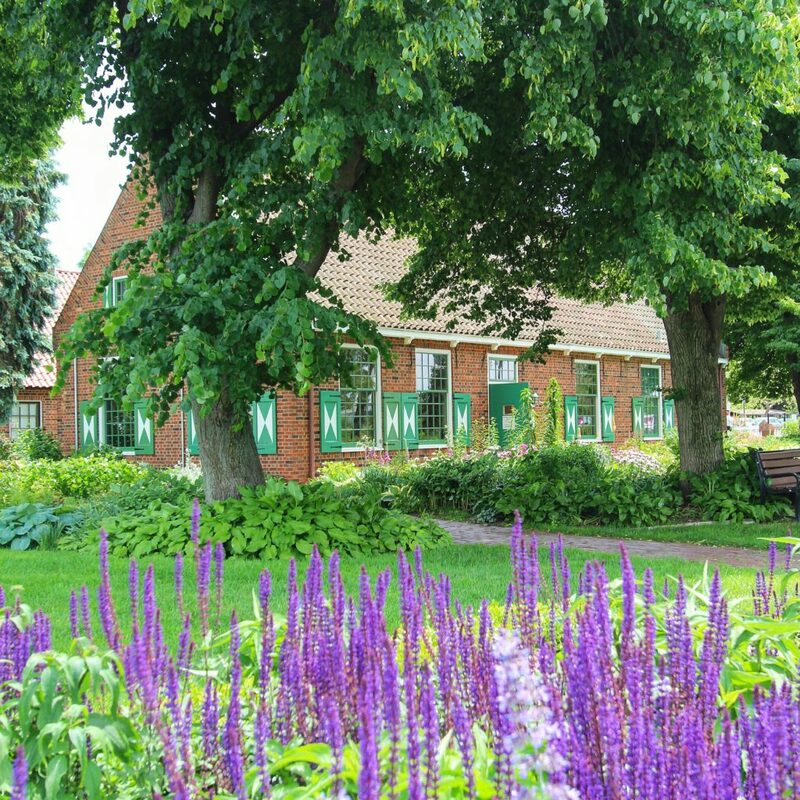 Having been to the Netherlands several times, I fell in love with Holland, Michigan. Had I not known any better, I would have thought I was overseas! 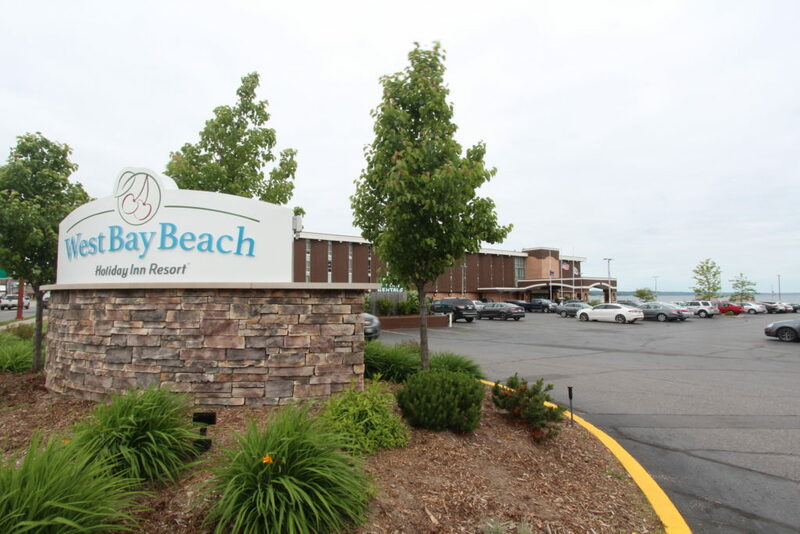 Driving three hours north of Holland, I finally made it to my final destination – Traverse City, Michigan. 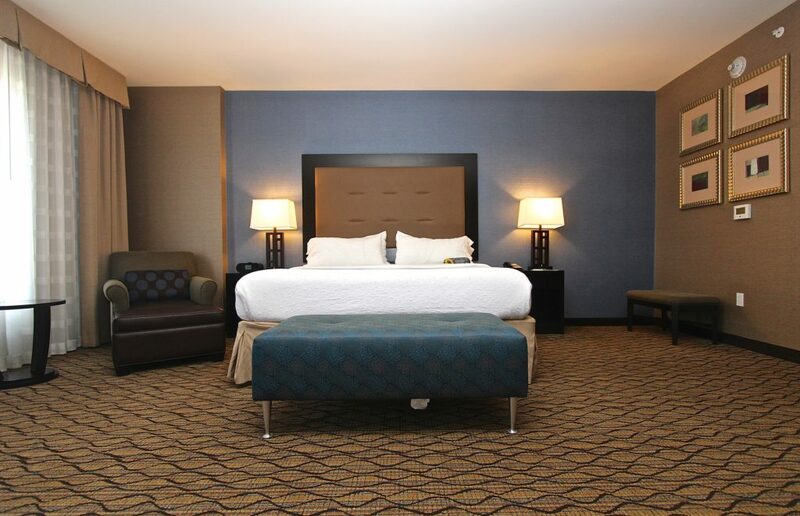 As much as I was exhausted from the road, I cannot tell you how excited I was over Holiday Inn West Bay Beach Resort. I was so excited by my room and it’s gorgeous view of West Bay Beach, it gave me a new burst of energy, which left me wanting to explore the resort. At first, I wanted to make use of the waterfront patio and bar but it was a little too windy and cold for that time of night. 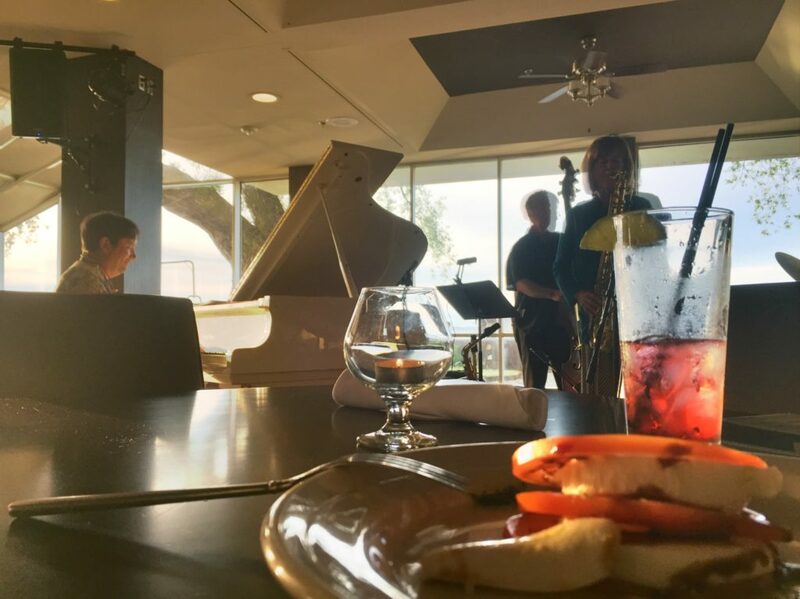 Instead, I hit the bar for a caprese salad, drinks & live jazz! I may have been tired but I was in heaven. Over the next couple of days at Holiday Inn West Bay Beach Resort, I took my time getting out of my comfy bed, spent plenty of time being lazy with fruit drinks on the waterfront patio, made use of the private pool and enjoyed breakfast – through room service or in the restaurant over looking the pool. 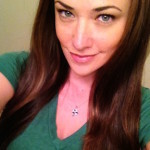 I have to add – my breakfast server PJ, was a total sweetheart. It’s always nice to be looked after by someone who enjoys his or her job and is great at it! 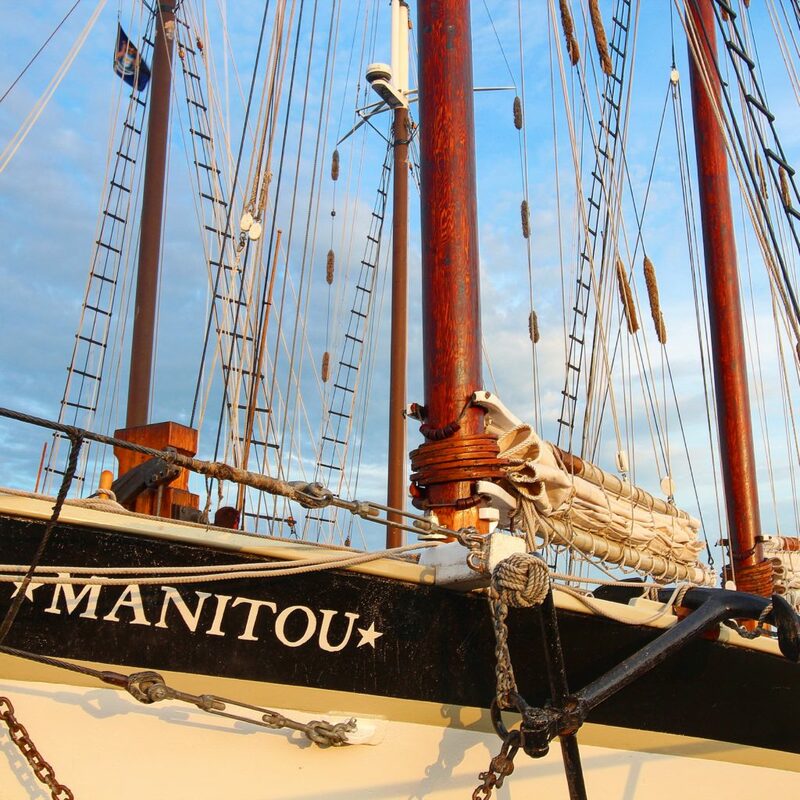 While in Traverse City I signed up for two tours, one with Traverse City Wine & Beer Tours and a second with Traverse Tall Ships Company. 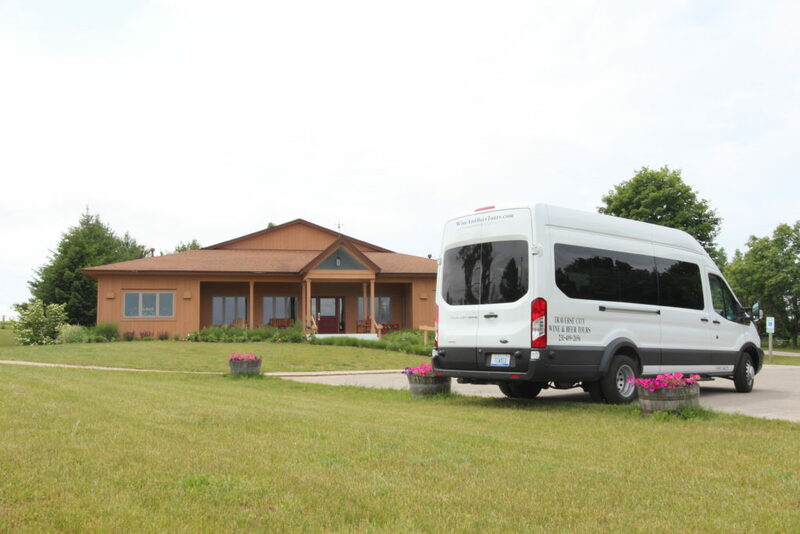 I loved that Traverse City Wine and Beer Tours picked me up from my hotel – completely killed the worry of driving while winery hopping. Plus, it was nice to go with a company that knows the area and wineries well. Our driver Luke was fantastic and patient with the group of five ladies he was subjected to for the afternoon. We were all a little nutty – in a good way (I like to think)! Luke brought us to four different locations that all offered free tastings. There were three wineries and one stop that served spirits (the drinking variety). My absolute favorite stop was Chateau Fontaine. The location was pretty, the gift shop had some fun and kooky things to look through, the wine was fantastic and the guy who helped us was hilarious and helpful. He took the time to explain the history of the wine, the flavors to look for and answered our questions – no matter how ridiculous they were. As someone who normally doesn’t like white wine – I was a little worried when I saw just about everything thing we were sampling was white… then pleasantly surprised when I liked most of what I tried. Traverse Tall Ships Company was a completely new and different experience for me. I had wanted to do a tall ship cruise for years and never got around to it. So, I thought – why not cruise Lake Michigan? The Manitou was beautiful. Watching the sails be hoisted into place was quite the sight… and a laugh since they took volunteers who wanted to help. The crew was great with answering questions and provided everyone with a picnic-like meal (turkey club wrap, pasta salad and cookie). They also had drinks (beer wine and soft drinks) and snacks available for purchase. 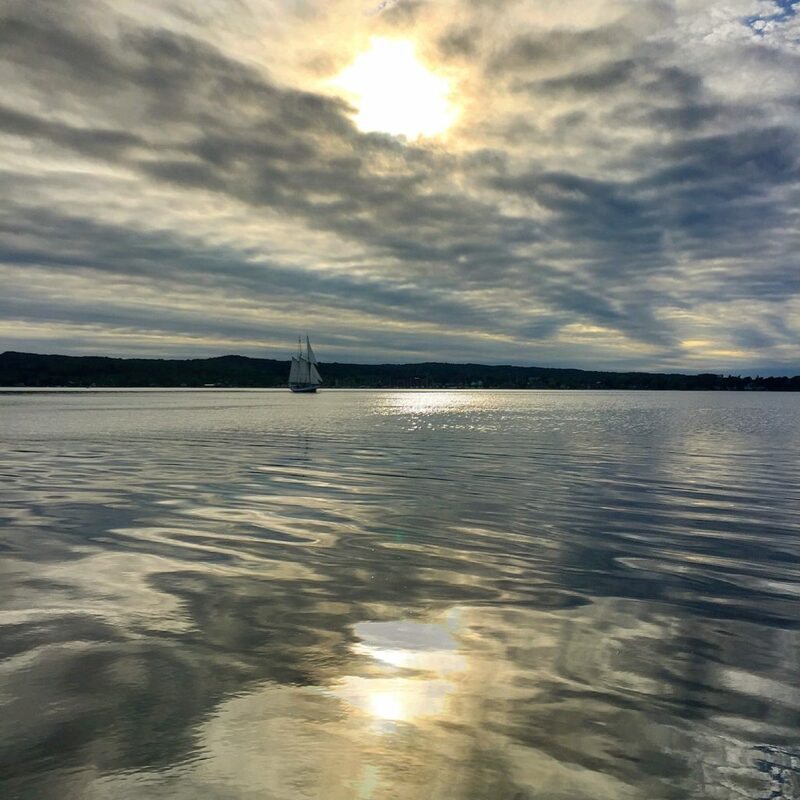 For 2 hours we sailed around Lake Michigan, watching the sunset and chatting with each other… only thing it could have used was a little music! 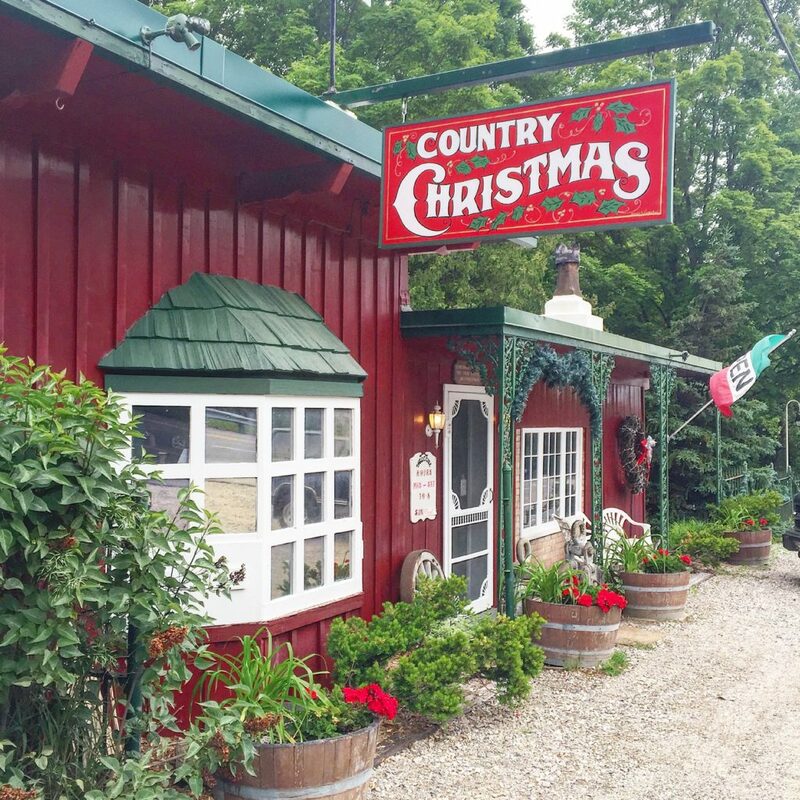 The next two stops I spotted while driving around on the winery tour – Country Christmas and the Irish Farm. I am notorious for collecting Christmas ornaments from where ever I travel… So, there was no skipping Country Christmas. I loved this little rustic, Christmas wonderland for so many reasons. One of the main reasons, were the owners Lee Ann and Bill Smith. 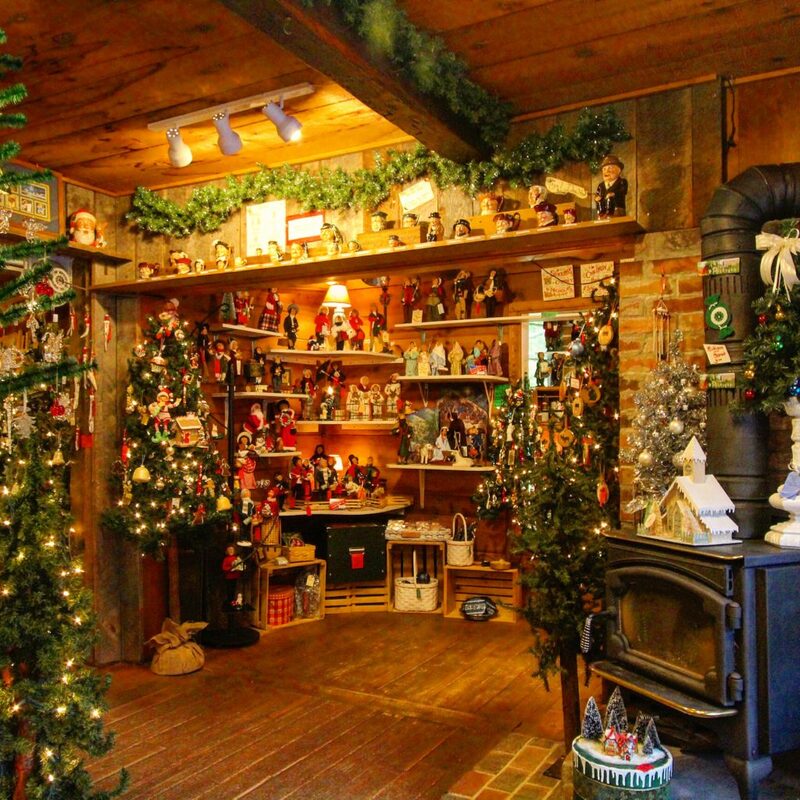 Residents of Traverse City for 50 years, owning a Christmas shop was a life long dream of Lee Ann’s. In 1982, they opened their shop and they have remained at the same location ever since! The thing I loved most – Lee Ann designs and creates many of the ornaments herself and it was very obvious her husband was proud of her talents as he showed me around the store. They also promote many other local artists, half the inventory was handmade, they look to repurpose old materials to make new decorations and they mark all their made in the USA merchandise with red tags. 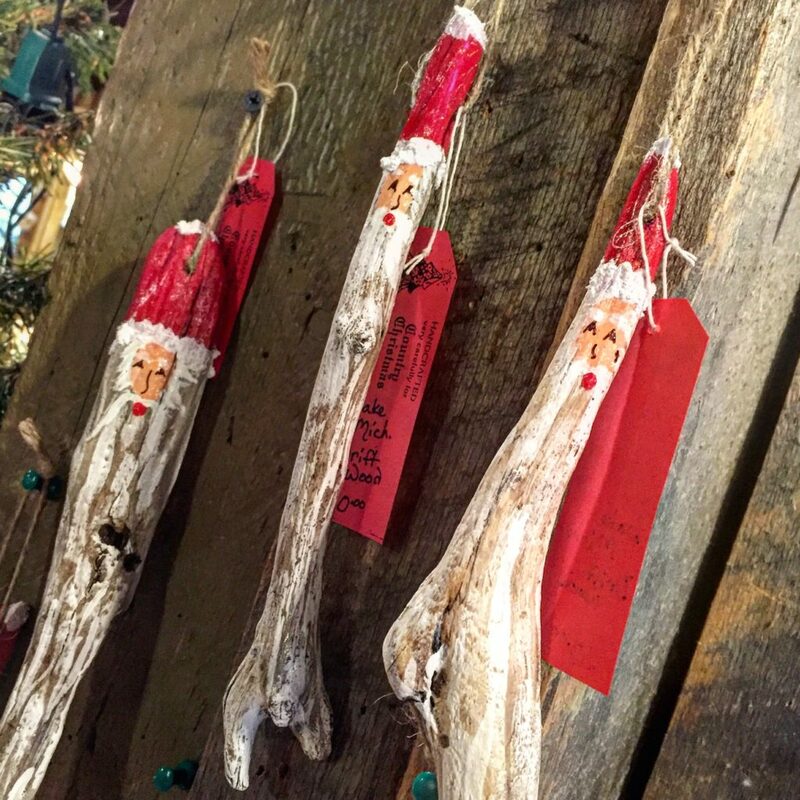 There were so many cute ornaments to choose from but one of my favorite pieces were Santas made from driftwood found along Lake Michigan. Such a cute way to remember your trip, support local artists, a local business and bring a piece of Michigan home with you! 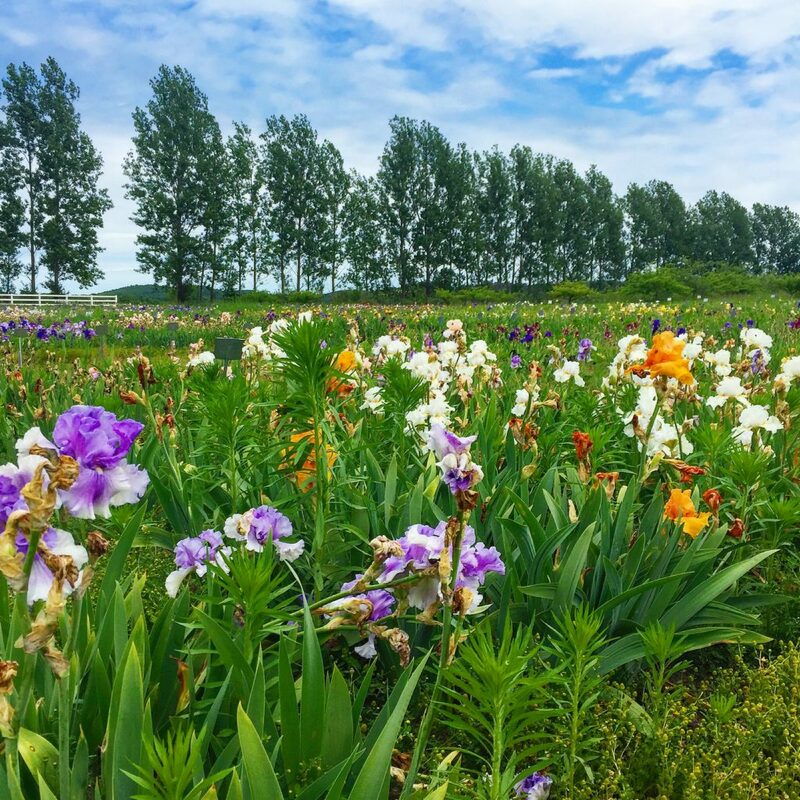 Located just up the street from Country Christmas was the Iris Farm – it was too beautiful from the street not to stop! One of my favorite things about road trips are the unexpected GOOD surprises. This stop was definitely a good one. The whole field was spotted with purples, yellows, reds, oranges, and shades of white. I fell in love instantly with the old barn with ivy growing up its sides. It was fun wandering the grounds, watching parents picking flowers with their children. There was even a painter setup on the hill near the entrance under a tree – easel, oils and canvas… I wished I had the time to join her! Before heading out of town, I decided to see what all the fuss was about over Traverse City cherries. 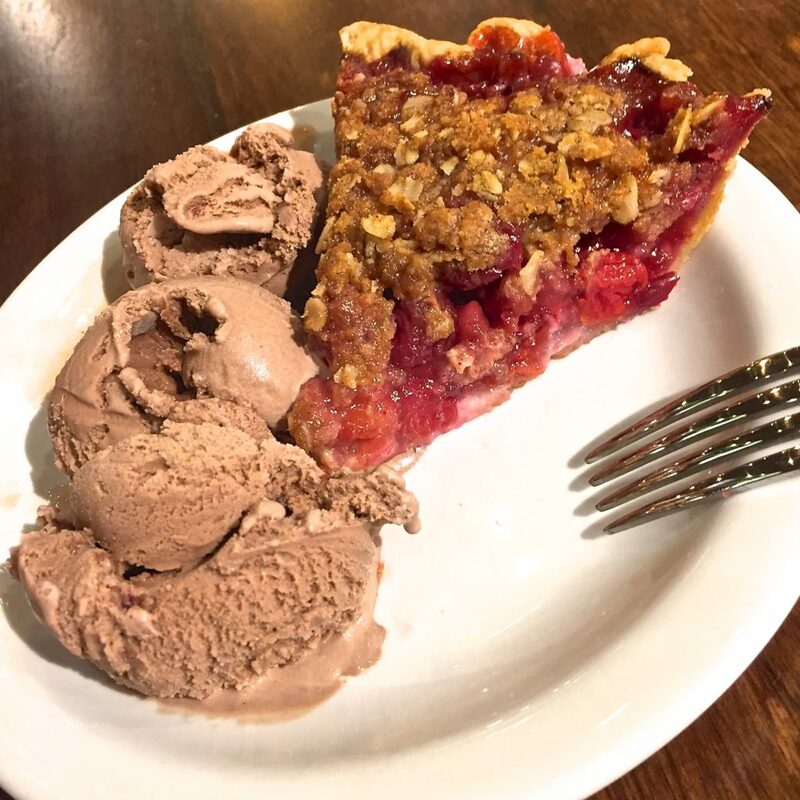 Let me start by saying, a friend suggested I try cherry pie while I was there… my response was, “I don’t like cherries…”. 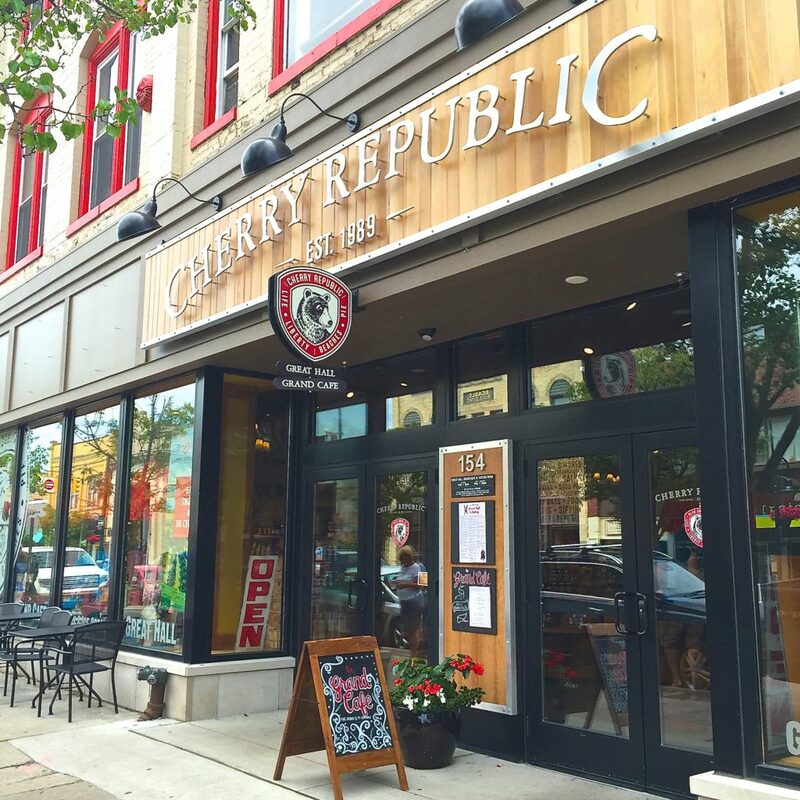 I have never been a fan of cherries so I expected my visit to Cherry Republic to be a major fail. 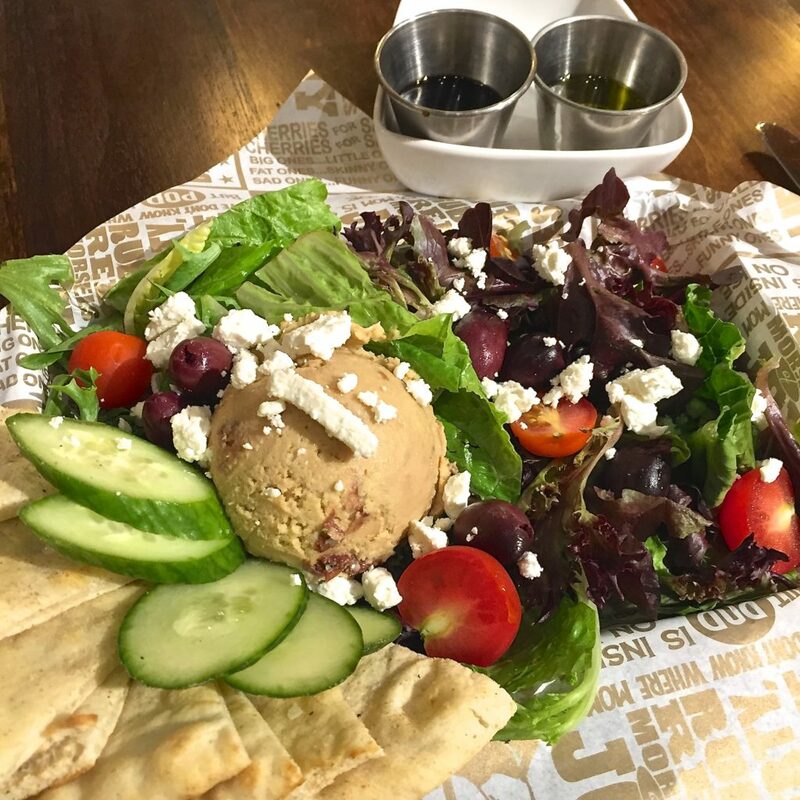 One Hummus & Pita Salad (Spring mix & crisp romaine lettuce, homemade cherry hummus and toasted pita, cherry tomatoes, cucumbers, kalamata olives, and feta cheese, dressed with Sweet Cherry Balsamic Vinegar and olive oil) and a slice of Cherry Crumble Pie with a scoop of Midnight in the Orchard (Chocolate ice cream with flecks of tart cherries) later, I had to let that friend know I was a liar. 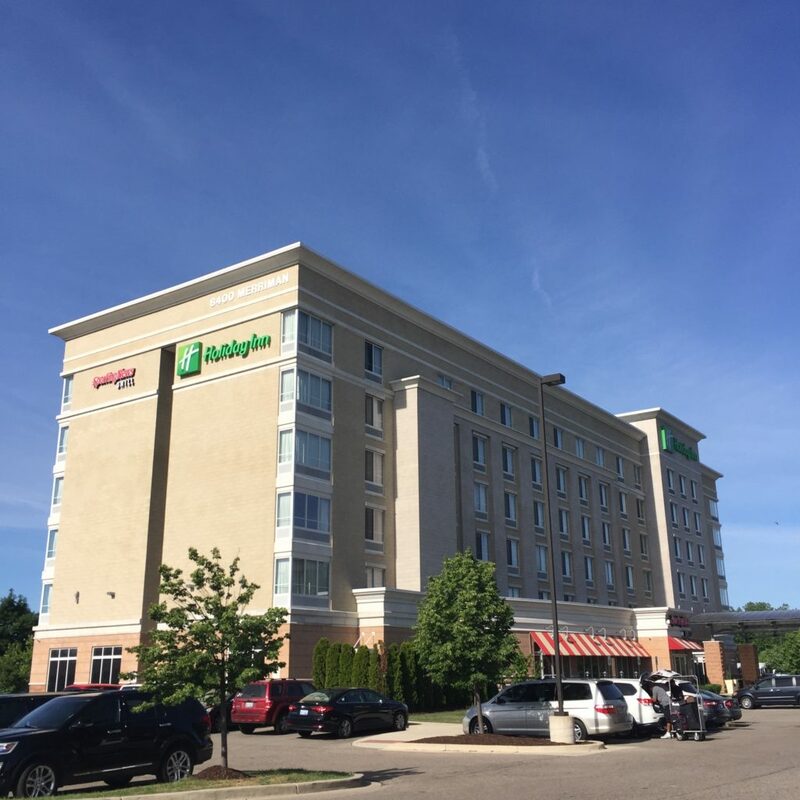 My trip through Michigan with Holiday Inn reinforced what I had learned in previous trips – the locals are welcoming, friendly, funny and sincere. At each and every stop I had encounters with locals that were positive, memorable experiences. What new things did I learn and appreciate about Michigan? 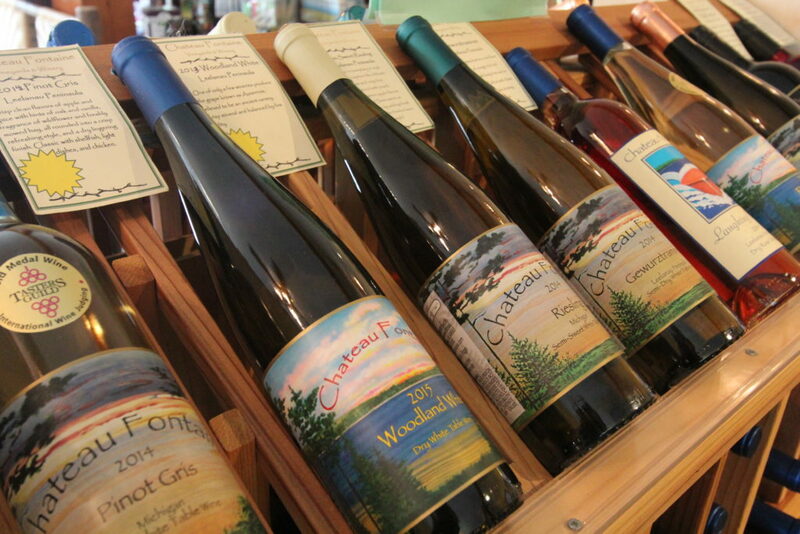 From the wineries, Crane’s in the City and Cherry Republic to De Zwaan grinding grain grown from local farmers – There was a strong sense of pride in Michigan made or homegrown products and in supporting those business. 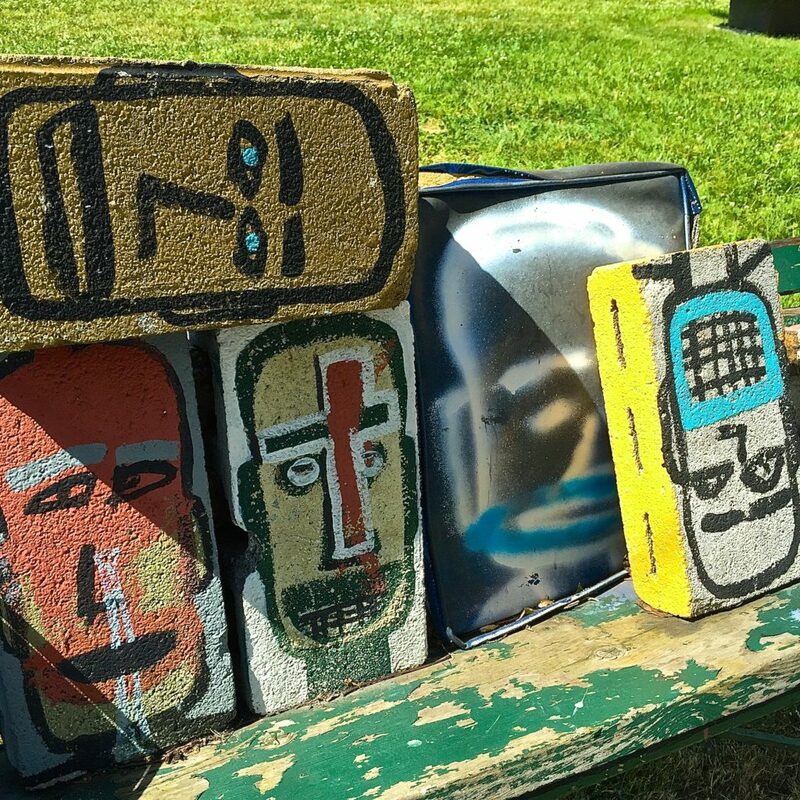 From The Heidelberg Project to Country Christmas, they looked for creative ways to repurpose and reuse – making old things new while promoting, bringing attention to and adding to their local community. Finally, I would say, the Pure Michigan experience includes a strong appreciation of their natural surroundings, local culture and heritage. Thank you for such a wonderful write up about our state. It is so nice that you had a great time here. Your article and those beautiful pictures says a lot about the other side of US which not many people including myself are aware of. It makes you feel more homely and worth spending your time for. Next time you’re in Michigan you have to visit Frankenmuth. You will love the old German town with fantastic shops and food.